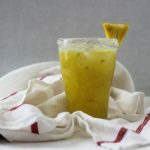 this pineapple lime agua fresca is cold and tart and refreshing, perfect for sipping throughout a hot summer weekend. it’s been about a month of my new job, and i like it so far. there’s the nice benefits of fitness reimbursements (which i haven’t taken advantage of yet, but dance classes here i come) and endless snacks/tea and bagel mondays and catered lunch wednesdays. my co-workers are nice (we talk about bigger than plate sized pancakes in la and commiserate over clients at lunch). the work itself is okay; i’m hoping it’ll get more interesting once i become fully enmeshed in my position. i said i’d never become one of them. you know, the person who couldn’t balance her blog and her job and her social life and her everything else. but i kind of have. when you do digital marketing for 35ish hours/week and commute for 20ish hours/week, there’s not much time for more digital marketing in the form of a blog. and one of this blog’s major reasons of being was/is because it gave me the space to stretch my marketing muscles. but it’s strictly a hobby, not even a side hustle, given its current size and my needs. it needs to be a hobby. one that i love, one that lets me be creative in a way that i can’t be at work. this blog isn’t forcing me to be as creative as i want it to be though- i don’t want to get stuck going through the motions of writing a blog post simply because i’ve been doing it for so long and it’s habit. i’ll still be around, but i need to find ways to fill my creative reserves outside of food for a second. 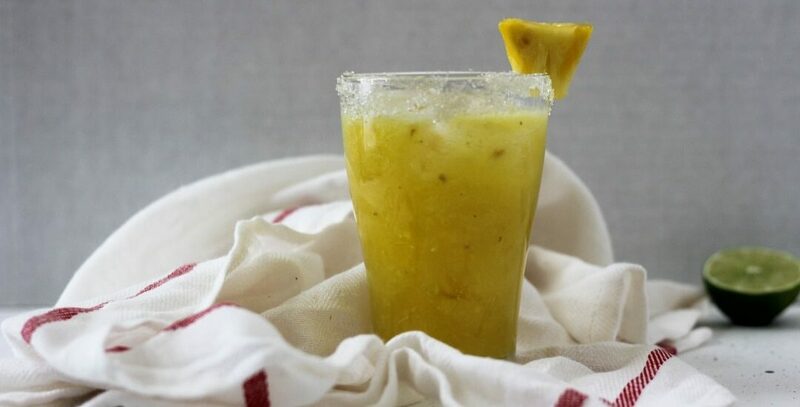 this pineapple agua fresca is fast, and gives you a delicious drink in less than 15 minutes. so you have time to blog a little, as well as socialize and become the next big ya author (when i grow up, i want to be jenny han. to all the boys is a new classic). or not, because then i would forever hermit at home. 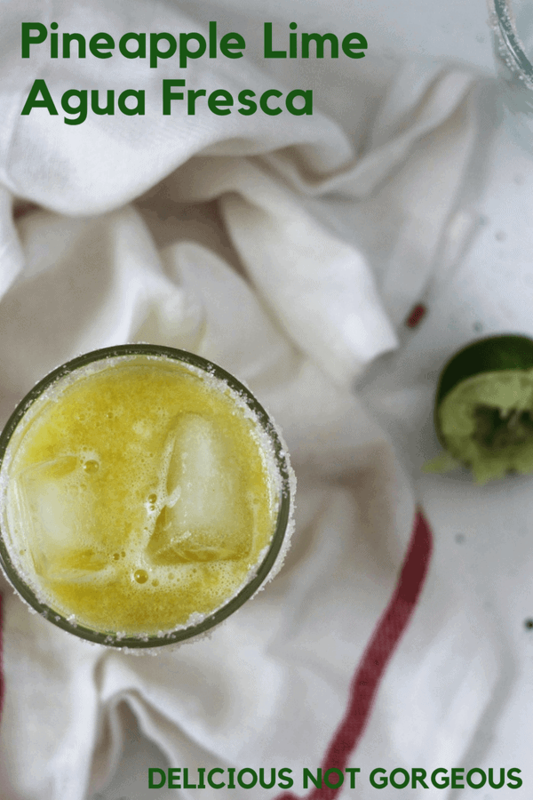 This pineapple lime agua fresca is the perfect amount of sweet and tart, which makes it go down easy all summer long. In a blender, blend the pineapple and 1 cup water together until your desired consistency is reached. I don't mind a little chunkiness, but you can blend it super smooth and strain it if you'd like. Add lime juice to taste, depending on how sweet/tart your pineapple is. These pictures feature glasses with sugar rims, but salt could be fun if you want margarita vibes! And at that point, you can add tequila if you want and make it into a matador. Thanks for sharing these ones! Heather, this looks so delicious and refreshing! It is difficult to have a full-time job, with all that commuting – and exhausting, I remember those “new-job days”. Good luck, it sounds like a nice place to work! thanks laura! it’s fun but definitely tiring. haha same (as i’m drinking a glass of plain water). Your job sounds like it’s going good so far! It definitely is a balancing act of working full time, family/social life and having a blog. I disappear off my blog and social media on my work days. It needs to be fun, not stressful right?! So let’s cool down with a glass of this refreshing Agua Fresca! YES trying to spend less time on it- i spend too much time on my computer at my office job anyways, and sleeping/seeing friends is a lot better use of my time than scrolling mindlessly through instagram. Oooh yes please! I love pineapple and lime together and this sounds so refreshing. thanks, caroline! 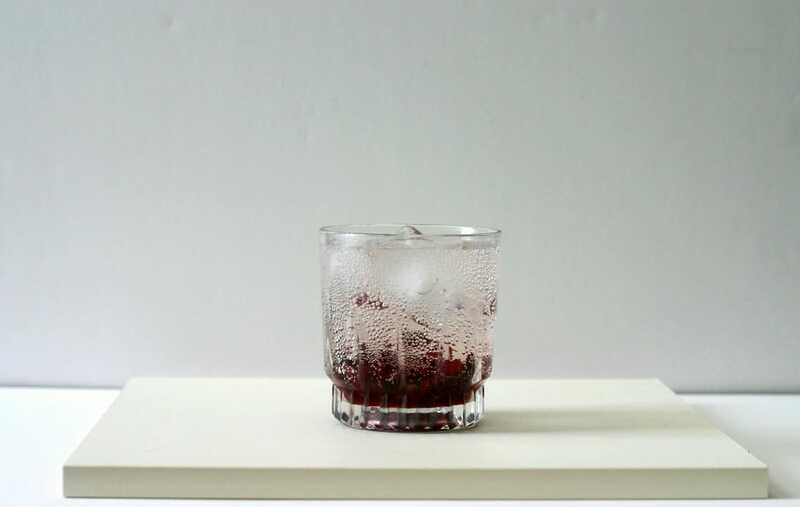 this weekend started feeling summer-y again (after a cold week), so i’m ready for a batch of this. Oh my. Good luck with your balancing act! I’m retired and it feels like the blog takes up half of my waking hours! Of course, you have to love it, and then it’s not really like a job! I hope your job becomes more compelling soon. haha there’s still parts i’d rather do without, but most of blogging is fun (: and it’s so much easier when there’s time (and you don’t have to make the choice about what to prioritize). Love pineapple beverages, and this one looks so refreshing! I’m glad you’re liking your new job. And I hear you on trying to balance everything. Sounds like you have a good approach with your blog! Congratulations on the new job again! Fitness reimbursements are the best. I took advantage of them at all of my jobs :’). I can totally understand that struggle with the balance between work, life, and hobbies. You have to find what works. Even I’m fatigue when I’m home from work – pretty much why I go MIA from blogging between Monday morning to Thursday afternoon :’). This looks amazing. I think I would love it because pineapples are my favorite in the summer! Happy everything is going well with your job! I’m glad the job is going well. Hopefully soon, you will be given more challenging opportunities within your position. 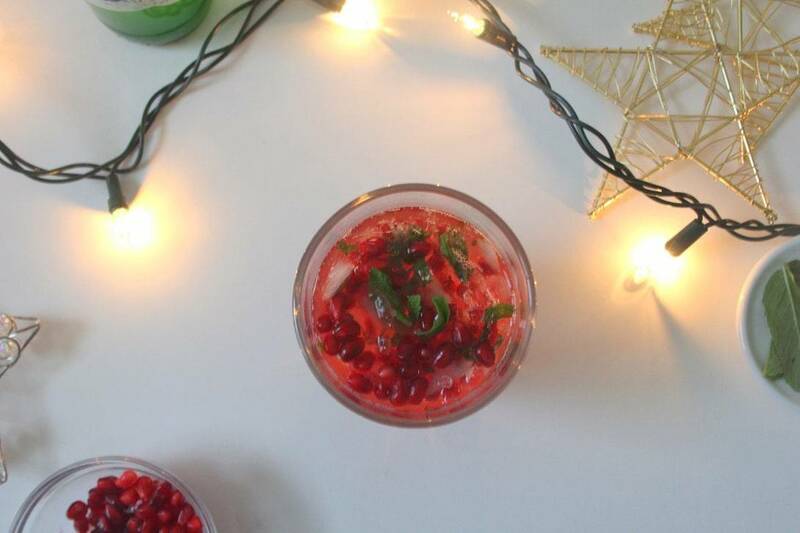 This drink looks so good and refreshing! I love the pineapple and lime combo. haha it went from 0 work to ALL THE WORK. loving the challenge but also need to work on the work/life balance again!